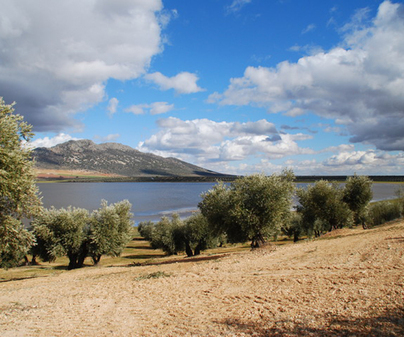 This protected natural space consists of three lakes of volcanic origin, known as La Nava Grande, Nava de Enmedio and Nava Chica, located down Sierra de Malagón, in the municipality of Malagón, Ciudad Real. They are seasonal lagoons, of variable salinity due to the surface and underground contributions. That is the reason for its high biological diversity, their rarity and their vulnerability. Nava Grande is especially noticeable for its large size, its greater permanence of its waters and for presenting a volcanic ring made up of tufas. This lagoon has a great importance for a great number of wintering aquatic birds. The main wildlife attractions in the area lies in the populations of aquatic birds linked to wetland areas, which are very interesting and valuable nationally and internationally. 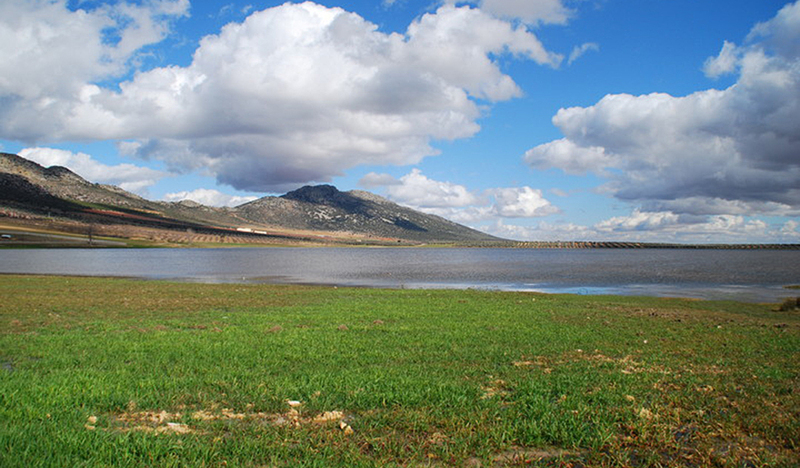 Its capacity depends on water levels, so it is highly variable from year to year depending on rainfalls and stored water. Among these species, we can find the white-headed duck, included in the Catálogo Regional de Especies Amenazadas (Regional catalogue of threatened species) as "Endangered", as well as the black-necked grebe, little grebe, the pochard, the gadwall, the mallard, the black tern, the great crested grebe and common pochard. It is also important to mention the presence of the European tree frog and the pygmy marbled newt within the group of amphibians, both categorized as "Special Interest" species in the catalogue above mentioned. The access to the Natural Reserve is free. From Ciudad Real, the N-401 should be taken to the town Malagón. Along CM-4114 you will find consecutively the lagoons Nava Pequeña, Nava de Enmedio and Nava Grande. You can make a reservation throughout the year. Wear comfortable clothes and footwear for walking through the countryside. Take your camera and desire to enjoy.